Sir Carter flawlessly glides over each hurdle, pulling away from his rivals with each powerful stride. 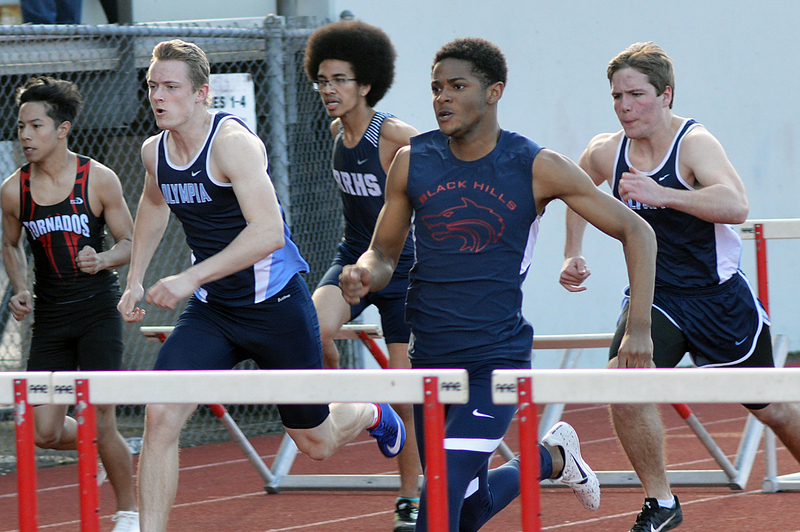 The Black Hills junior ultimately wins the 110 hurdles at the annual South Sound Jamboree by a widening margin. This is the first meet of the season for many local track and field athletes. No one is expecting record-shattering times. It’s mid-March. Snow covered the very same track less than two weeks ago. The season is in its infancy. But here is Carter posting a time (15.45 seconds) that would have placed him fourth at the Class 2A state championships last year. It’s an extraordinary start to the year to say the least as he wins the race by nearly a full second. When his final time is finally revealed, everyone seems impressed – everyone except Carter. More times than not you will find an infectious smile on his face, but this time a look of frustration appears. “It wasn’t the time I wanted,” Carter admitted, his grin quickly returning the moment he steps off the track. Nope. Never mind the fact that his time would top the 2A rankings and be the second fastest time in the state among all classifications for the first few weeks of the season. Carter is expecting big things this year, and by the way his so-called off season went, there is a strong likelihood he’s going to reach every lofty goal he’s set for himself. 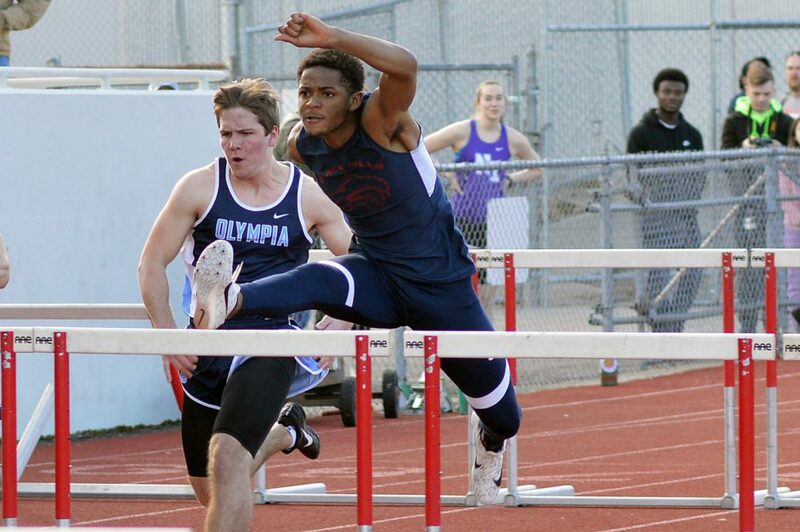 As a freshman, Carter went to state in both hurdle events, but failed to get out of the preliminaries. Placing became the carrot as a sophomore and he was simply spectacular by season’s end, finishing second in the 110 hurdles and third in the 300 hurdles at the 2018 state championships. Franklin Pierce’s Tyrell Edge won both events with Mitch Wesen of Burlington-Edison finishing second in the 300 hurdles. Both have since graduated, making Carter the heir apparent to the throne. It is a role he has enthusiastically accepted. That meant for the first time Carter participated during a full indoor winter track season. His motivation to succeed was magnified significantly after he placed 14th in the nation in 60-meter hurdles at the Simplot Games at Idaho State University in mid-February. Carter’s final time in the event (8.58) was fifth among all non-senior competitors nationally. 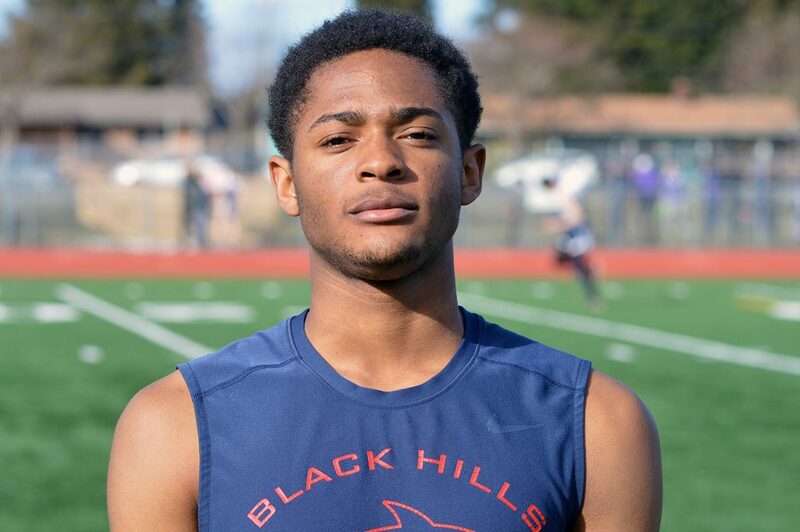 Black Hills head coach Brad Dudley labeled Carter a “perfect storm” of an athlete – a rare blend of extreme competitiveness and immense likeability, the ultimate teammate. “Maybe there’s a better phrase for it, but it’s really a Jekyll and Hyde thing with him,” Dudley said. “I don’t even know that I would call him a perfectionist, but when he’s on the track he absolutely is. He’s what you want in an athlete. He’s competitive and serious when you need him to be, but also fun and a great teammate. He’s focused and intense when he runs, but once he steps off the track his personality comes out.